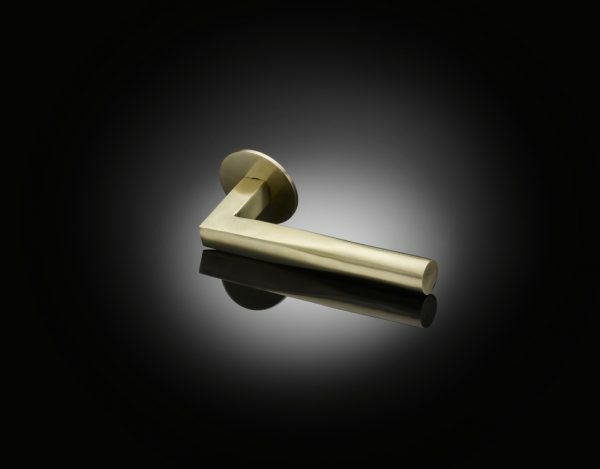 Architects Patrick and Claudia Lynch originally designed this lever handle for use on their Kings Gate development in London’s Victoria (hence the name). It reconciles the rigorous geometries of the square and the circle in a section that morphs from one to the other, giving a comfortable round grip yet presenting the beginnings of a square section to the thumb as it pulls. The original was cast in solid white bronze and hand-polished. 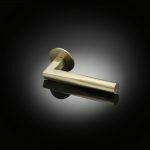 However, like all izé luxury door handles, Vicky is available in the full range of izé materials.